U kunt ook maaltijden afhalen en in het comfort van uw stacaravan nuttigen. Een leuk extraatje daarbij is de korting die u krijgt op uw maaltijd als u deze op tijd besteld en ophaalt. 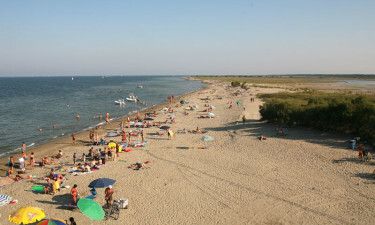 Spina Camping Village is a holiday camping resort located within the heart of the Emilia-Romagna region of Italy. Offering guests a massive water park alongside all of the modern conveniences which promise a purely luxurious break, this luxury camping site makes the perfect holiday destination. LUX-camp is pleased to be able to provide further details upon request. Why Should I Choose the Holiday Camping Site of Spina Village? A selection of mobile homes, bungalow tents and chalets. A magnificent climate and ambiance. A newly renovated water park. one of the benefits of this fantastic location is that the temperatures are agreeable throughout the tourist season. Summers are known for their incredible warmth while spring and autumn experience very few days of rain. For this reason, outdoor activities such as swimming bicycling and hiking are quite popular throughout the year. Those who are looking to get a bit of a tan will not be let down during their next camping holiday. 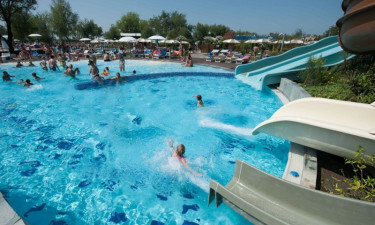 The family-friendly water park is one of the main attractions found at this holiday camping site. No less than 360 square metres of water are present and this park provides several amazing extra features. For example, a large outdoor pool with a sand bottom mimics the beach environment. Two water slides, a man-made stream and a children's pool are some other options. Adults can relax thanks to 8 hydrotherapy massage beds and a solarium that boasts 1,000 square metres of enjoyment. Camping luxury would mean little without access to all of the modern amenities, such as cleaning facilities. Spina Camping Village has taken this statement quite seriously. A baby changing room is offered to all families while 125 individual washing cubicles are able to provide an extra sense of privacy. Waste disposal facilities, dedicated power supplies to each mobile home and free Internet access are other benefits to be found here. This luxury camping site has left nothing to chance in terms of gastronomy. 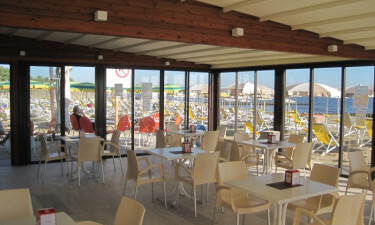 A combination restaurant-pizzeria was renovated in 2005 and offers its guests some unique options to enjoy. With a seating capacity of 200, there is always room to spare, and to ensure guests can make the most of the fantastic weather, there is an outdoor terrace for a bit of fresh air, too. During the tourist season, culinary-themed nights allow visitors to experience some of the delicacies from this region of Italy. There is also a takeaway menu offered. A large-screen television hosts the latest sporting events and the entire venue is air conditioned. 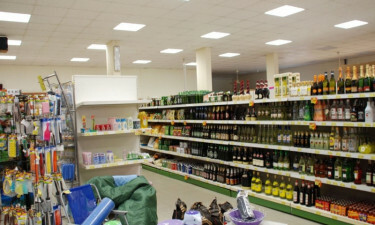 A market offers guests basic camping necessities as well as fresh fruits and vegetables, frozen items, soft drinks and a host of other amenities. Tobacco, magazines, international newspapers and similarly themed tourist items can all be found within close proximity to all luxury camping pitches. To learn more or to address any additional questions, it is always possible to contact LUX-camp at your convenience.